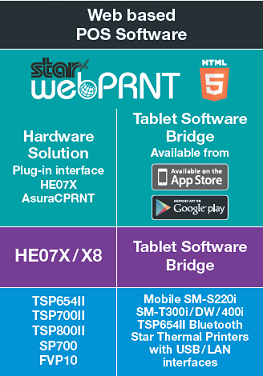 About Star printer - STAR-ASIA TECHNOLOGY LTD. Ever since the founding in 1950, Star has always had a big ambitions. 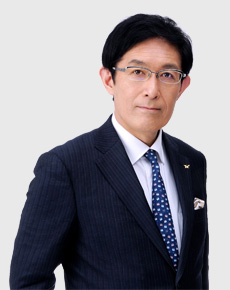 Star moved quickly onto the global stage and today Star generate three quarters of the sales overseas and half of Star products are manufactured outside Japan. Staying true to the founding spirit - generating the greatest impact from the least materials - Star has actively fused electronics and software technology from a base of precision processing and assembly capabilities. This has led to a wide range of products, from wristwatch parts and other precision components, to CNC automatic lathes, business printers and micro audio components for mobile phones. All embody Star enduring quest for technological excellence, and the untiring efforts of a workforce full of energy and the spirit to take on new challenges. Amid growing interest in environmental protection in recent years, creating products that have a positive impact on society while effectively using the earth's limited resources is an important goal for manufacturers like Star. At the same time, as a player on the world stage, Star is committed to adhering to global standards to deliver satisfaction to all its stakeholders. Going towards, Star plan to step up the corporate social responsbility (CSR) activities and enhance transparency, doing as much as possible to disclose information in a user-friendly and accessible manner. Join Star as Star strive to play a greater and more valuable role in society. STAR, one of the world's largest printer manufacturers, has designed a portfolio of thermal, impact, portable and multifunction printers for use in a wide variety of applications. With over thirty years of manufacturing expertise and a highly-skilled R&D department, STAR has not only developed printers which offer high performance and reliability, but has innovated and created unique POS periperals solutions ─ mPOP ─ for the newly emerged mPOS world. STAR POS printers are divided into three main categories: POS (point-of-sale) printers, open frame printers for self-service kiosk (information terminal) and other applications, visual rewrite card reader/writers used for membership cards and other applications. These printers are tailored to the needs of worldwide markets with their high-quality printing, speed and superior software compatibilities based on Star's original developmental capabilities. Tapping Star precision manufacturing technologies, Star has created a raft of products that lead the world in compactness. Amid a growing trend toward smaller, thinner digital electronic products, perfectly illustrated by mobile phones, Star has earned a reputation for pushing the boundaries of compactness. 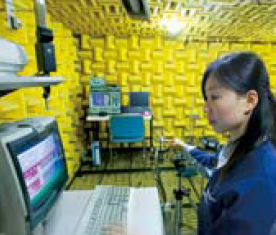 For future development, Star is striving to transform R&D seeds into new business fields. Basic research takes a medium- to long- term perspective, while applied R&D has a near-term outlook. In parallel with its R&D activities, Star conducts marketing activities and evaluates the viability of technology under development to launch products that precisely match the changing needs of the marketplace. 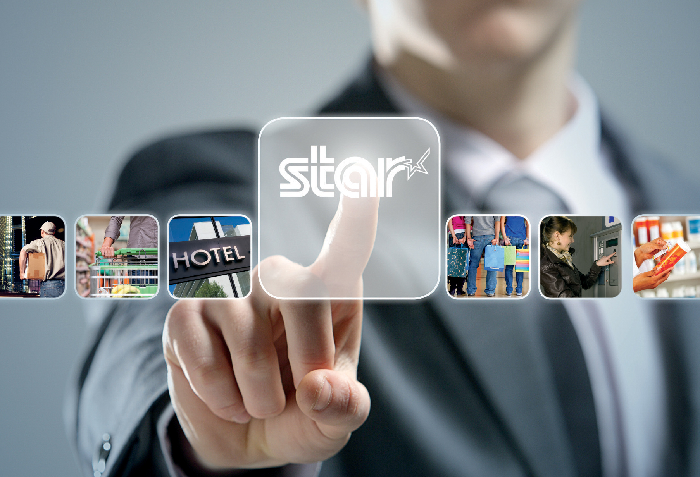 STAR's experience and understanding of market trends has led to a broad range of innovative receipt printers, POS (point of sale) printers and mobile printer products developed with one key objective - provide an easy integration into existing POS software and systems, resulting in the ultimate customer experience across markets. Demonstrating its industry leading position by supporting the latest advances in technology, STAR was the first printer manufacturer to develop SDKs (Software Development Kits) for iOS and Android operating systems. The SDKs allows developers to easily add support for printing into their apps with Apple iPad, iPod Touch, iPhone and Android devices to generate receipts and perform related functions in retail and restaurant environments. In addition to the SDKs, Star also has drivers that support Windows 10, Microsoft's newest operating system. STAR's revolutionary portable and desktop Bluetooth printers support all operating systems including iOS, Android and Windows. As a result of Apple's MFi certification, STAR's SM-S220i, SM-T300i and SM-T400i portable printers and the TSP650IIBI desktop printer are all compatible with popular iOS devices such as the Apple iPad, iPhone and iPod touch. 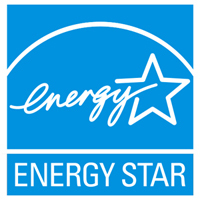 STAR's industry leading TSP100ECO printer has earned Energy Star Qualification. The TSP100ECO brings an array of environmental benefits including 75% reduction in power consumption compared to standard Star printers and up to 70% reduction of paper consumption. In addition to the TSP100ECO; the TSP650II, TSP700II, FVP10 and the HSP7000 have all received Energy Star Qualification. World-leading product quality has underpinned Star's growth into a brand admired around the global. Star Micronics has obtained a number of internationally recognized standards for quality management, including ISO9001, ISO13485 and ISO/TS16949. These standards form the basis of a system that maintains and improves quality. Also positioning environmental protection as an important priority, Star is actively engaged in environmental management activities to help realize a society in harmony with the environment. The latest additions of new mobile printers as well as the revolutionary new low cost "complete" ECO receipt printer meet the demands of customers operating in a variety of environments including hospitality, retail, kiosk construction, ticketing and labelling are effectively being met. Star's product philosophy has always been to give the customer a choice of products to meet their individual requirements. The wide range of choice available, encompassing on-demand ticketing and labelling printers as well as kiosk printers, is continually expanding. The new Star mPOP combined POS receipt printer and cash drawer is a unique point of purchase solution. Outstanding connectivity and design, plus intuitive functionality and simple integration are delivered ready to work with your chosen mobile software and card payment system. Connect the mobile device of your choice – Apple, Android, Windows or Linux tablet or smartphone for simple Bluetooth pairing. The multiple functions and connectivity of the mPOP make processing customer transactions in retail and hospitality environments smooth and effortless. STAR's outstanding Software Development Support is unrivalled and is the key reason why STAR printers have been integrated into such a wide variety of POS Software solutions worldwide. STAR's multi-product API forms part of STAR's iOS, Android, Windows and Linux based SDKs which are vital and valued by Software Houses all over the world wanting to take advantage of STAR's feature-rich range of products. Each StarIO based SDK package has extensively documented source code and informative explanation manuals. A demo package is also included to demonstrate how to implement advanced functionality and customise print outs. This, together with the backup of Star's experienced support team, allows simpler integration of platform-specific applications with STAR products. 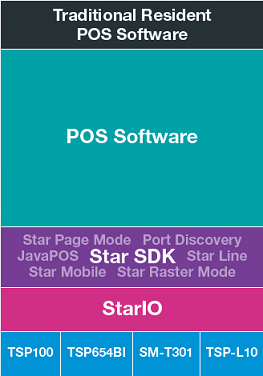 STAR offers helpful SDK applications on Google Play and App Store that enable a variety of customisable samples and functionalities including the ability to change the Bluetooth device name for easy pairing, along with proximity based printing and cash drawer support, for increased mPOS security. - Connecting your Star Desktop & Mobile printers to the Web wherever you are! 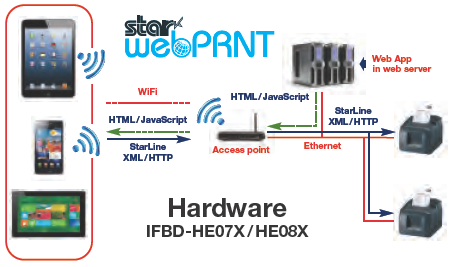 STAR's platform-agnostic WebPRNT solution is designed to generate print data via a web browser to output directly to any Star printer fitted with a STAR WebPRNT interface. At all Star business sites, every Star employee is involved in efforts to conserve resources and energy through the recyling of materials, the use of environmentally friendly materials in products, the seperation of waste materials for recycling and other initiatives. Futhermore, Star utilizes the core compact, precision manufacturing and assembly technologies to make products that are smaller and thinner, thereby using fewer materials and helping save resources. Star is also aggressively developing environmentally friendly products that are lead-free and conform to environmental standards such as European RoHS Directive (Restriction of the Use of Certain Hazardous Substances in Electrical and Electronic Equipment).